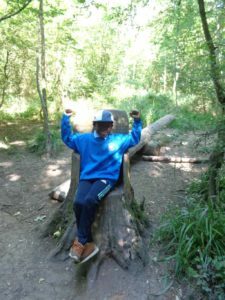 Year 3 went on a trip to Salcey Forest. Whilst we were there, we played a game where one half laid a track from sticks making arrows and 10 minutes later the rest of us had to follow the trail to find them. 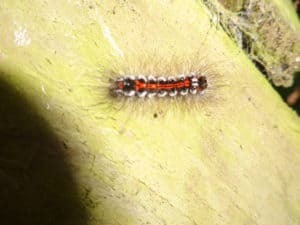 We split up into teams and hid some fake caterpillars. Other teams then had to try and find them. It was easy to find the brightly coloured one but not the green and brown ones – showing how valuable camouflage is. 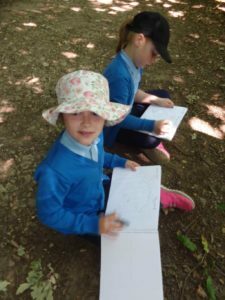 We also did some sketching in our books from things around us. 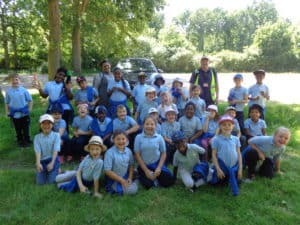 We all enjoyed a picnic lunch and an ice cream. 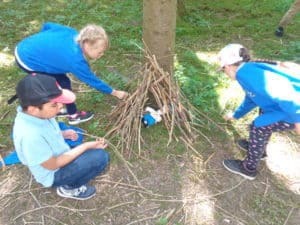 One of our favourite activities was making dens and shelters for our teddy bear friends. 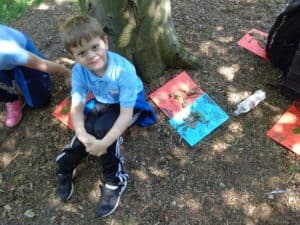 We learnt to identify minibeasts and trees from their bark and leaves. 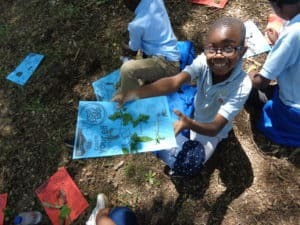 We had a great day!